This is so pretty, thanks! Started using this layout today as a way to jump back into my journal. Looks lovely! Thank you. taking it for this journal; your coding is lovely as usual! I changed the background image and upped the font sizes, is that kosher with you? You wouldn't happen to be able to do a matching profile layout would you? Or something similar. Lovely! I'm switching to this, thanks! Very beautiful! Thank you for creating it. I'll be using and crediting. Love this, and have installed it on this journal. The only thing is my tags seem to be squished up on top of each other if I use multiple tags on an entry. I'm CSS-stupid, so I'm not sure how to fix it. Where in the code do I find it, and what do I have to change? I don't know if I've done something odd to my journal in general or if I'm having a CSS issue. Do you know what it could be? walthers is lovely! may I use it? Just curious, is there an easy way to swap icons to the right and the navigation/profile module to the left? 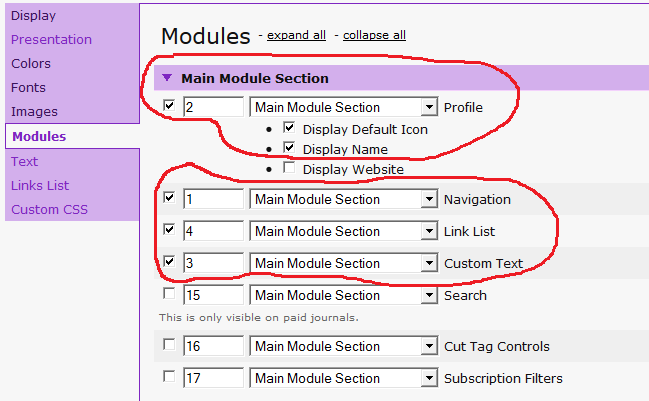 I really like this layout, I'm just particular about modules on the left for some reason. I have begun using your layout from today. Thank you so much. You do a wonderful job. Using for this blog right here. It's so pretty.